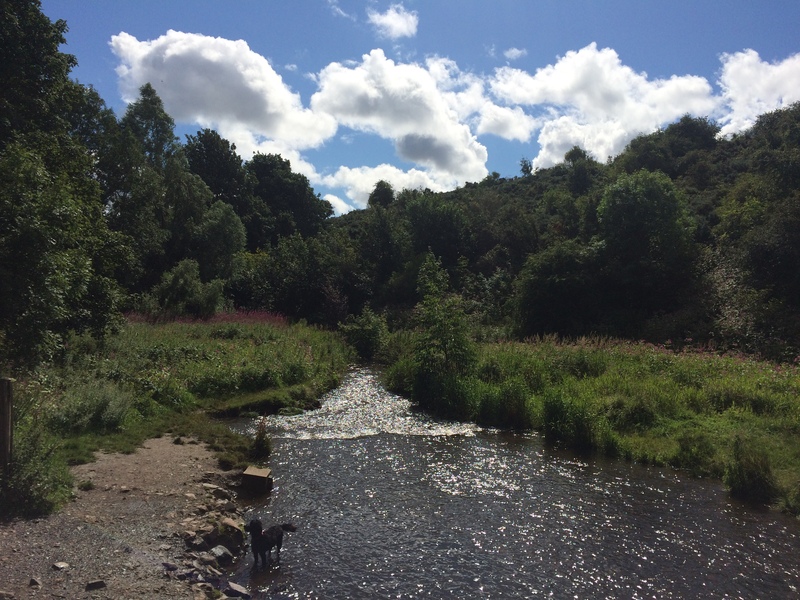 We’ve been really lucky with the weather in Edinburgh this summer. Sure, we’ve had a few rainy days since arriving back here, but we’ve also had plenty of sunshine. So last week, we made the most of the good weather and headed out on a long walk to the Hermitage of Braid, on the South Side of town. 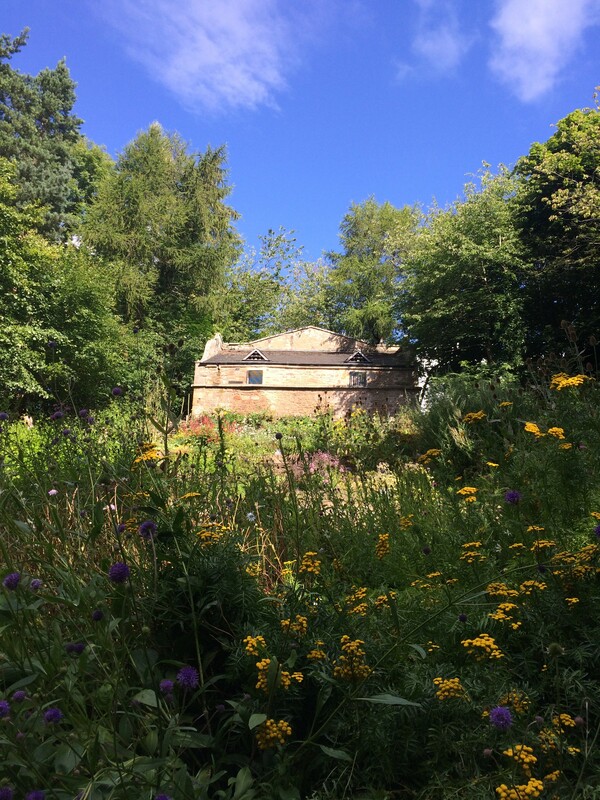 I thought I’d give you a little run down of it, as it’s a the perfect place to escape to if you need a little break from the hustle and bustle of the city centre, but still within easy reach if you are visiting Edinburgh without a car. 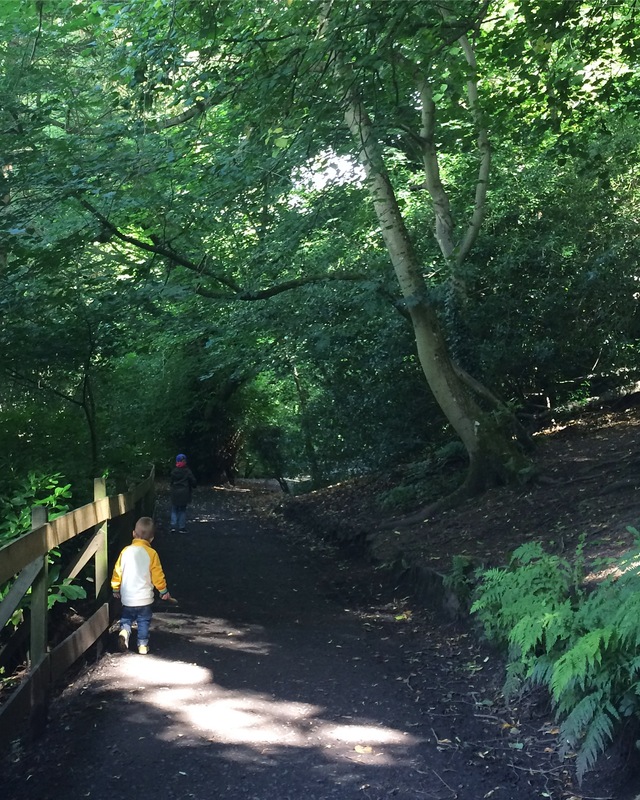 The Hermitage of Braid is an area of mostly woodland, nestled in between Blackford Hill and the Braid Hills, and together with the former comprises a Local Nature Reserve of over 60 hectare. 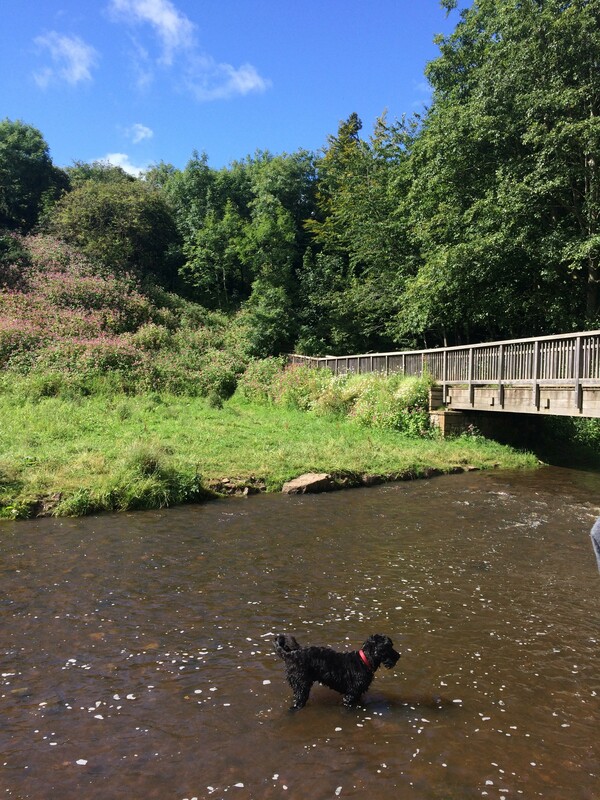 The Braid Burn, which is 14km in total, runs right through the middle of it (burn being a term used in Scotland to denote a large stream or small river). 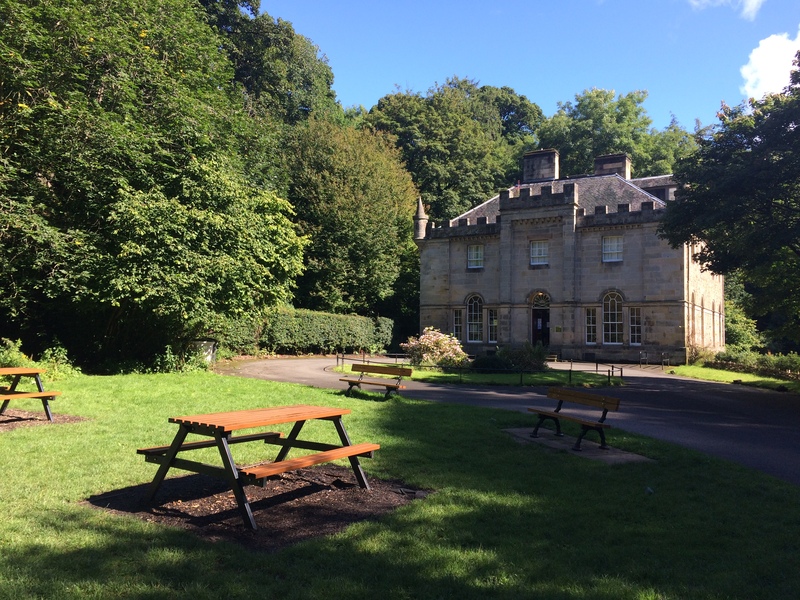 The ‘Hermitage’ part of the name comes from the 18th century house on site, known as Hermitage House, which is now a category A listed building. The land was gifted to the city, to be used as a public park, in 1937 and Hermitage House now acts as a visitor centre or the nature reserve. 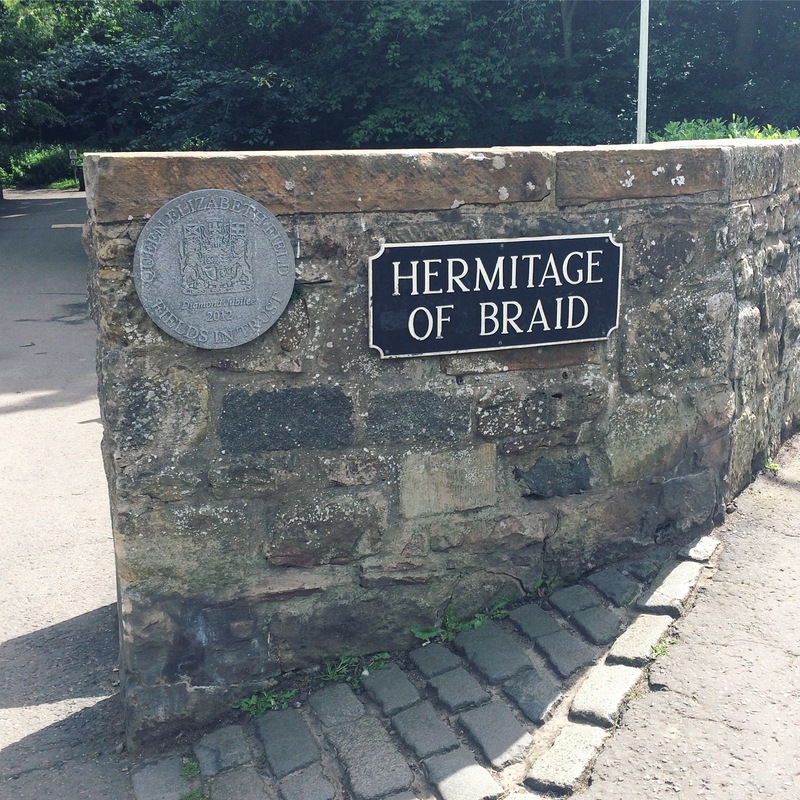 You can access the Hermitage of Braid via Blackford Hill, which involves a lots of ups and downs and a bit more scrambling around, or – the route we took – via Morningside, which is a lot flatter and has paved roads leading right up to the entrance of the reserve on Braid Road. The number 11 and 16 Lothian buses stop just a short walk away from the entrance, though on this occasion we decided to walk there, which took us about 40 minutes from our house. 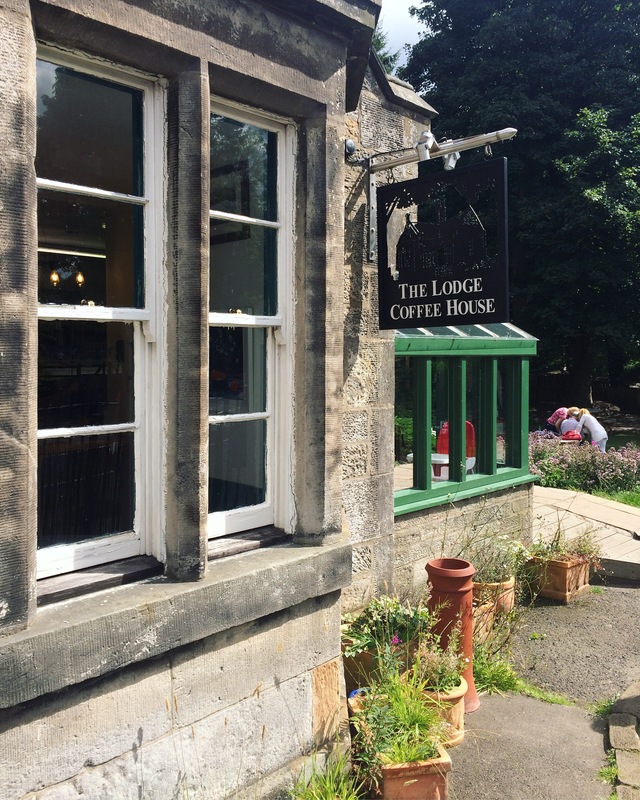 At the Braid Road entrance, there is a cafe – the Lodge Coffee House – which sells food, drinks and homemade cakes seven days of the week. But as we had brought a picnic with us on our outing, we gave it a miss this time. 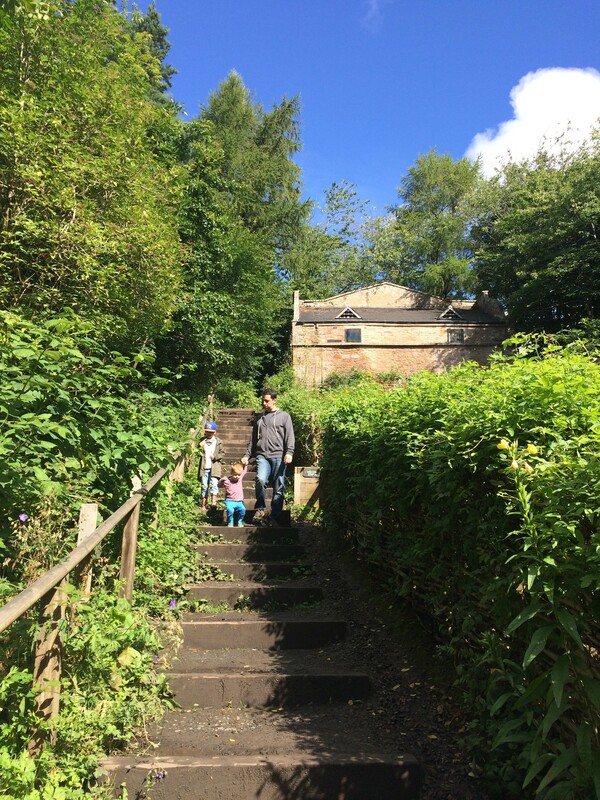 We walked up the tarmac path to Hermitage House – there is a nice little shallow bit on the side of the path as you walk up to the house, which is perfect for paddling in the stream. In front of the House there is a big grassy area with picnic tables (see above), so we settled down there to have our picnic. There was a bit of drama when two dogs appeared and started sniffing around us – they were perfectly friendly, but one of them stole Oskar’s sandwich! The Hermitage of Braid is VERY popular with dog walkers, so be aware of that if dogs make you nervous and you are planning to go there. After our picnic, we had a look inside Hermitage House. 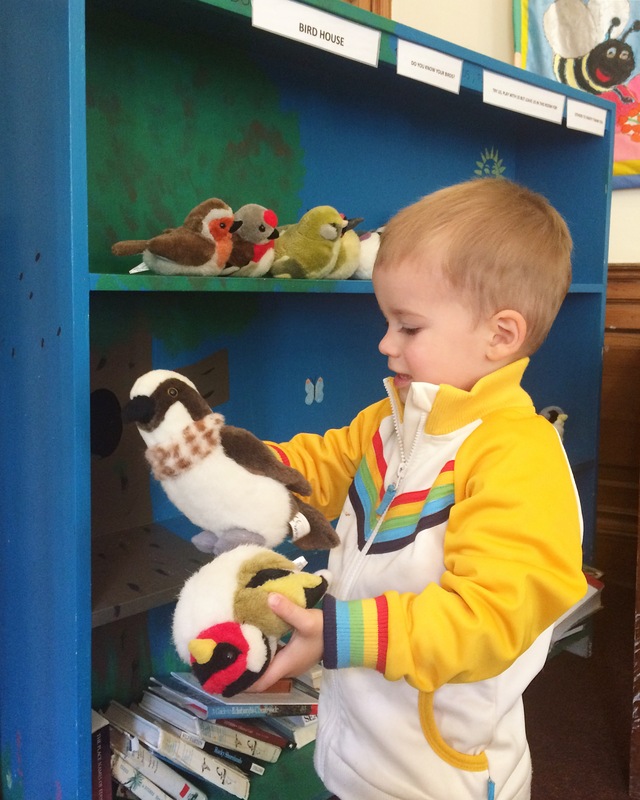 There is a fantastic children’s room there, with books, games, and drawing materials. We snuggled up on the sofa to read a couple of books, and had fun trying to get the toy birds to all tweet at once. The boys were having so much fun, it was hard to convince them to go back out and enjoy some more of the good weather. Hermitage House also has toilets, so it was a good opportunity for a pit stop before continuing our walk. Back outside, we continued following the path along the south side of the Burn for about another half mile, leading us deeper in to the woods. The Burn crosses a couple of bridges, which are perfect or playing Pooh Sticks, and with trees all round us it didn’t take us long to build up a good supply of sticks to thrown in the water. It was so beautiful and tranquil, Oskar said to me “Listen, mum, how quiet it is!” We walked as far as the point where the route loops round and takes you across to the other side (you’ll notice when you get there, there is a large wooden bridge and a signpost pointing in four directions), but since that side is steeper and rougher, and includes several steps, we walked back the way we came. 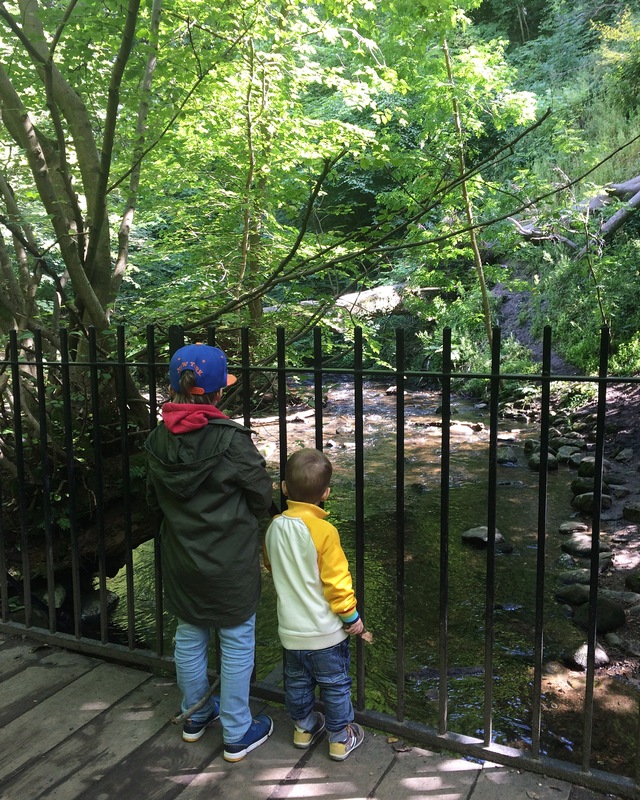 We spent about two hours at the Hermitage of Braid in total – including the picnic, playtime inside the house, and the walk with several games of Pooh Sticks – before heading back home. 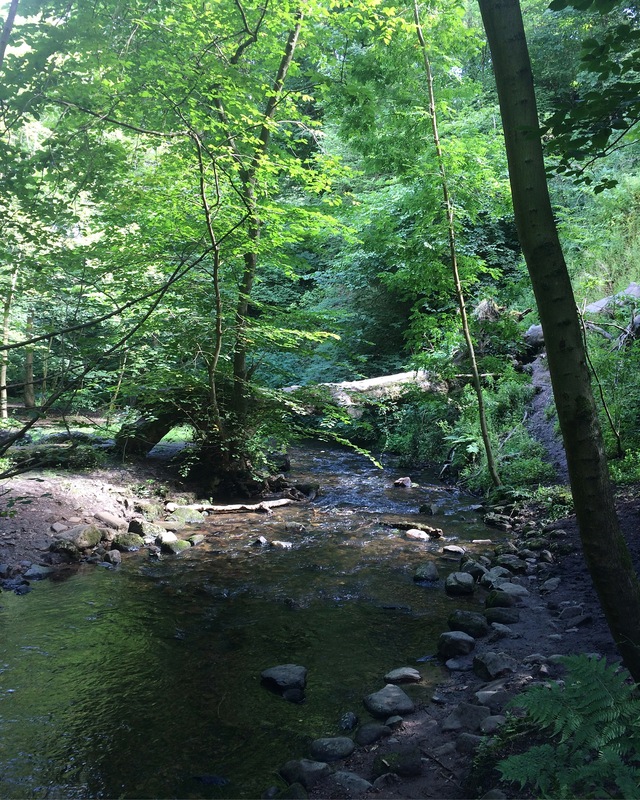 It’s great to have such a lovely oasis in the middle of the city, and within reach of our house. It certainly won’t be the last time we were there! Gorgeous! What a stunning place to have nearby. We have a great National Trust park/property about 25 minutes away from us and I feel so lucky to have it whenever we go. 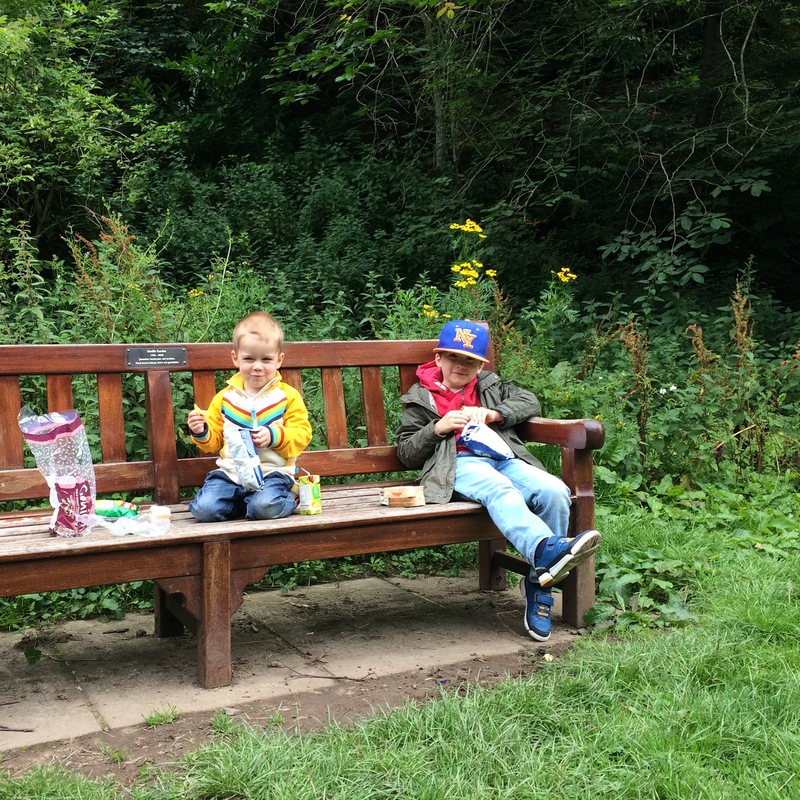 This sounds like my kind of day – exploring, picnics and having fun as a family! It looks absolutely beautiful! And a great spot for a family day out with a picnic (whoops about the sandwich though! that would’ve been my little dog too – always hungry!). 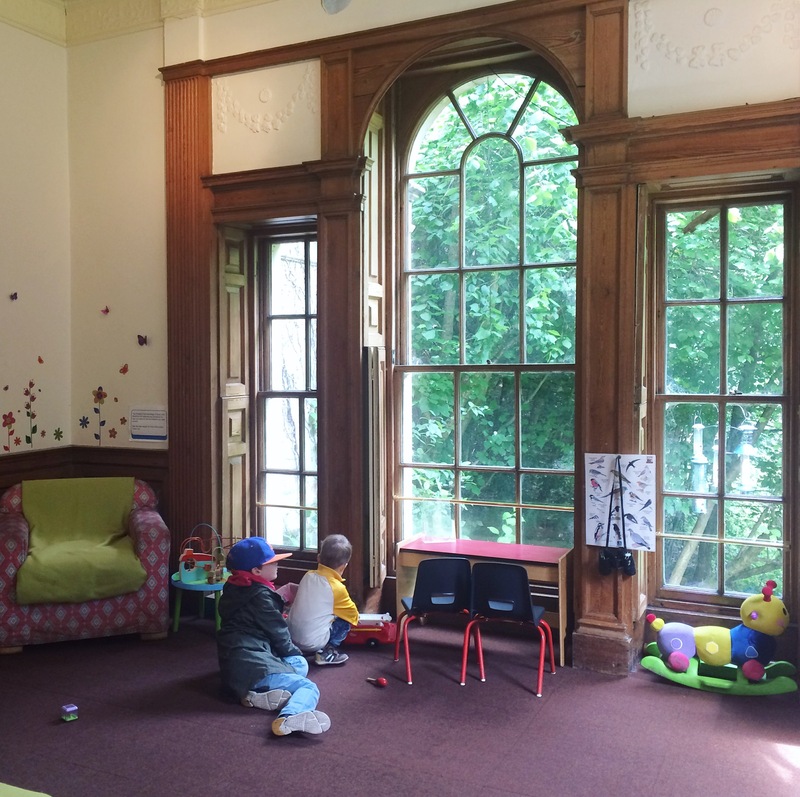 The children’s room looks really lovely – what a great idea in case the weather turns! We keep saying we need to explore Scotland more. 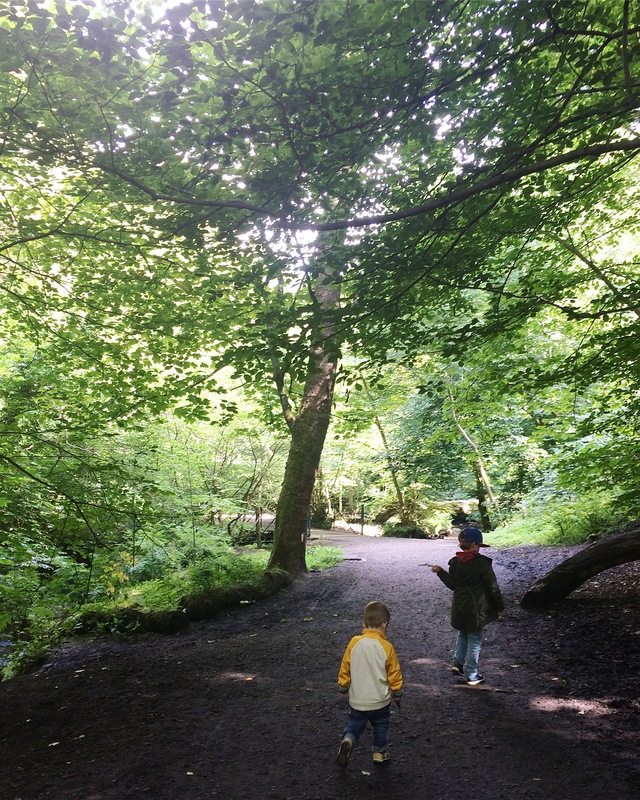 This looks like such a beautiful day and the perfect way to let children unwind after lots of city exploring. What a stunning place to visit. It looks like you had the weather to enjoy it too. What a lovely day with the family and full of adventure. This looks like a magical place to visit! 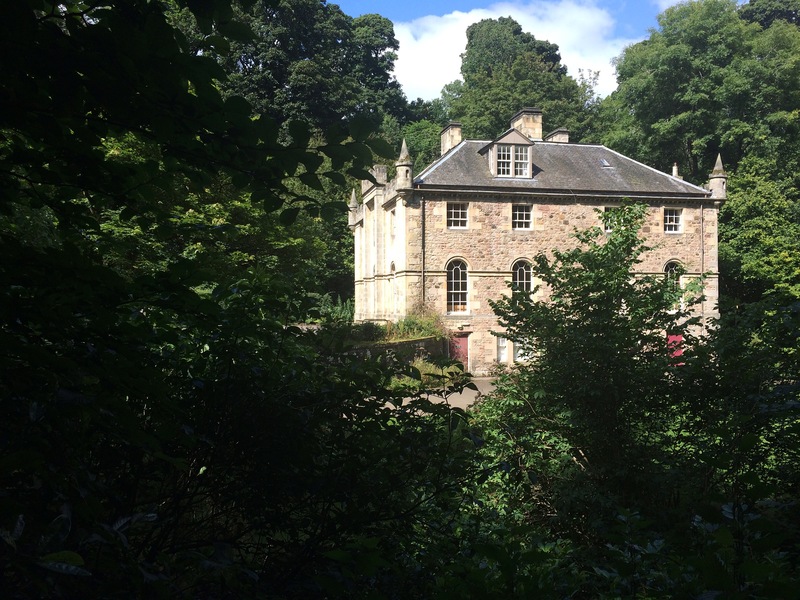 I’m definitely going to put it on my list of places to go, next time we visit Edinburgh – it looks like you are in a deepest countryside and not anywhere close to a big town.